An African-American man goes to visit his Caucasian girlfriend’s family and discovers that things aren’t what they seem in Jordan Peele’s Get Out. For me, horror is always at its best when it plays on fears that people can understand and relate to. If the subject matter is something that makes people think of their own experiences and have that enhance the experience then it will be more effective. This film hangs its hat on the subject of racism and how big a problem it still is. It’s incredibly topical at the moment so that makes it rife for exploration in a horror context. Not that I would say this film is a horror in the traditional sense as most of the run time is devoted to presenting the situation as a mystery that the lead character needs to solve. There are some jump scares and unsettling moments thrown in there but for the most part the film presents itself as more of a thriller with a central mystery. Chris (Daniel Kaluuya) is a compelling character. He’s calm, patient and intelligent. He’s someone who knows how the world works and has clearly seen a lot of casual racism in his life. This makes him ideally placed to enter this scenario and be completely creeped out by it. Since the film follows his perspective it’s easy to understand what he has to deal with even if the viewer hasn’t ever experienced it for themselves. I’m a white male myself so have never experience casual racism in my life but I was able to understand exactly how Chris felt at any given point due to the power of Kaluuya’s performance. The film sets up its premise well with an early instance of a police officer asking him for ID even though there was no reason for him to do this. Again, Chris’ reaction tells us that he’s had to deal with a lot of this. This is later reinforced when his girlfriend’s father Dean (Bradley Whitford) talks about how there are too many Deer and there could stand to be a lot less of them. It’s not difficult to pick up on the subtext there and the film is full of it. 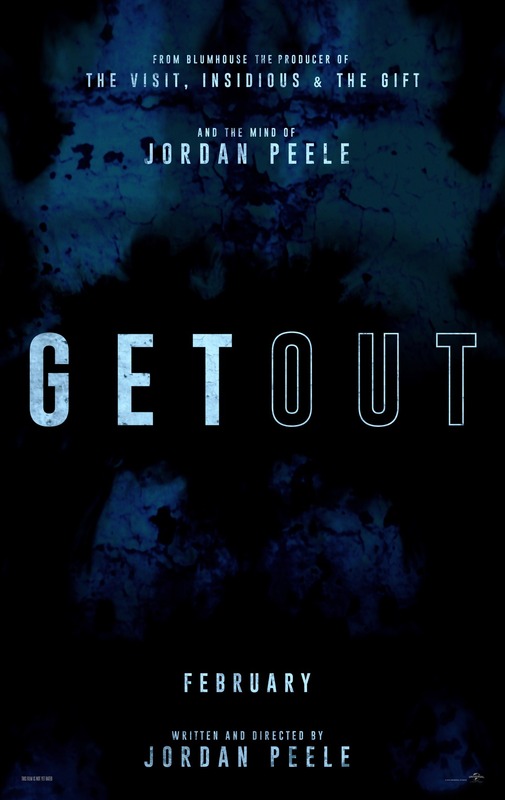 Get Out builds up a really unsettling situation in really interesting ways. Chris’ reaction to what he sees is key and there’s a lot to notice from the only other black people around being the hired help to the abundance of white people at every turn. There’s even some creepy hypnosis from his girlfriends’ mother Missy (Catherine Keener) to makes things even more uncomfortable. It’s the depiction of normalcy that is most unsettling in this film. There’s a family dinner that mechanically seems normal enough but is just peculiar enough to create a sense of dread and the community gathering later in the film never feels welcoming or comfortable. Chris’ girlfriend Rose (Allison Williams) is a good character as well. She has really good chemistry with Daniel Kaluuya and she seems to be a source of support to Chris as she realises that her family are really odd so she is there to help him deal with that. Rose does disappear for chunks of the story which helps build up the sense of isolation that Chris is dealing with but she is also around enough to establish why they function well as a couple. The most entertaining interactions in the film come from Chris and his best friend Rod (Lil Rel Howery). His quick fire one liners and unique social commentary are great to watch and he ends up raising the common horror questions such as “Why are you still there?” which sort of stops the audience from asking them. He definitely brings much needed levity and factors into the plot in a big way. Once the film gets around to delivering answers to the questions it sets up in the first half it is less compelling and starts to feel more than a little ridiculous after a while. It’s not terrible as such but it’s very exposition heavy and the latter part of the film devolves into a fairly uninteresting gore fest. Providing satisfying answers to questions posed is always going to be a difficult task and this film definitely proves that. A well put together and appropriately unsettling mystery/thriller with strong social commentary and a compelling lead character. The film does a great job of building up an unsettling atmosphere and the audience are fully immersed in his perspective throughout. The other characters are good enough but come and go as the story needs. His girlfriend Rose is a good support mechanism for him which makes it all the more apparent when she isn’t around to help and his best friend Rod is an unending source of entertainment. The film loses its way somewhat in the second half once the questions are answered and it devolves into something of a gore fest but it doesn’t downplay what came before or make it any less effective.